Simran has been co-produced by Bhushan Kumar, Krishan Kumar and Shailesh R Singh. The film also stars Soham Shah, Esha Tewari Pande, Manu Narayan, Aneesha Joshi and Rupinder Nagra in pivotal roles. Simran is reportedly narrates the story of a young woman whose ambition to excel leads to her the world of crime. 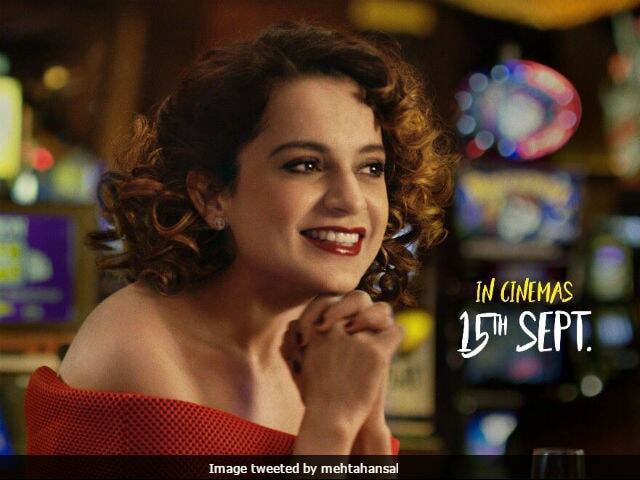 Simran is scheduled to release in theatres on September 15. Kangana Ranaut was last seen in Vishal Bhardwaj's Rangoon, co-starring Saif Ali Khan and Shahid Kapoor. The film tanked at the box office as it failed to impress the critics and the audience. After Simran, Kangana Ranuat will be seen in Manikarnika: Rani of Jhansi, which is a biopic on Rani Laxmibai. The film, directed by Krish, also stars television actress Ankita Lokhande and actor Ali Fazal. Kangana will soon be making her debut as a producer and director with an English language short film The Touch.